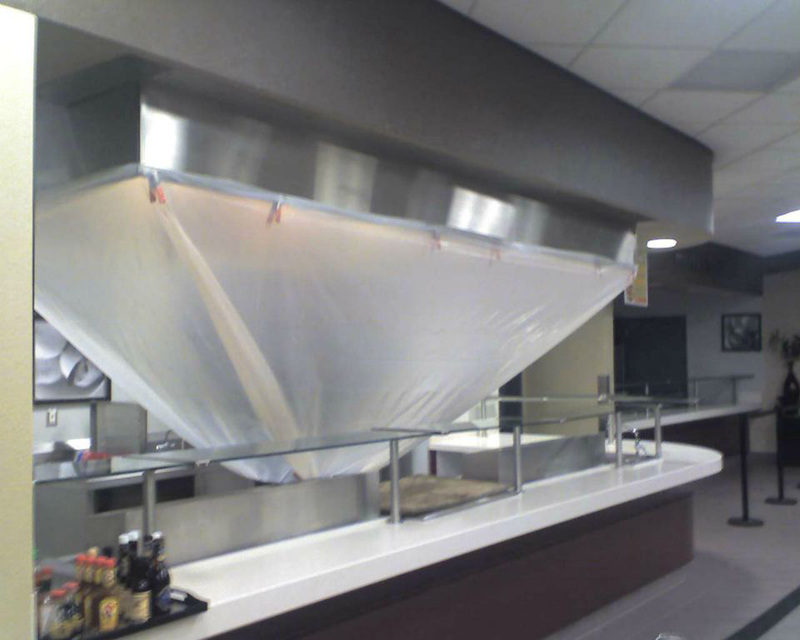 Your Cooking Exhaust System is cleaned according to NFPA 96 guidelines – “Hoods, grease removal devices, fans, ducts, and other appurtenances shall be cleaned to bare metal”. 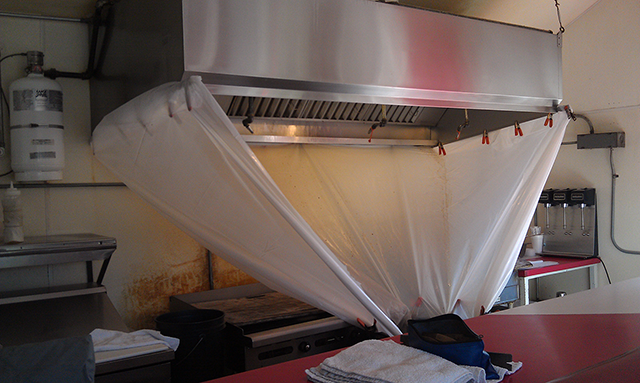 This is accomplished by hot pressure washing all safely accessible components of the cooking exhaust system not just the areas seen by you the customer. 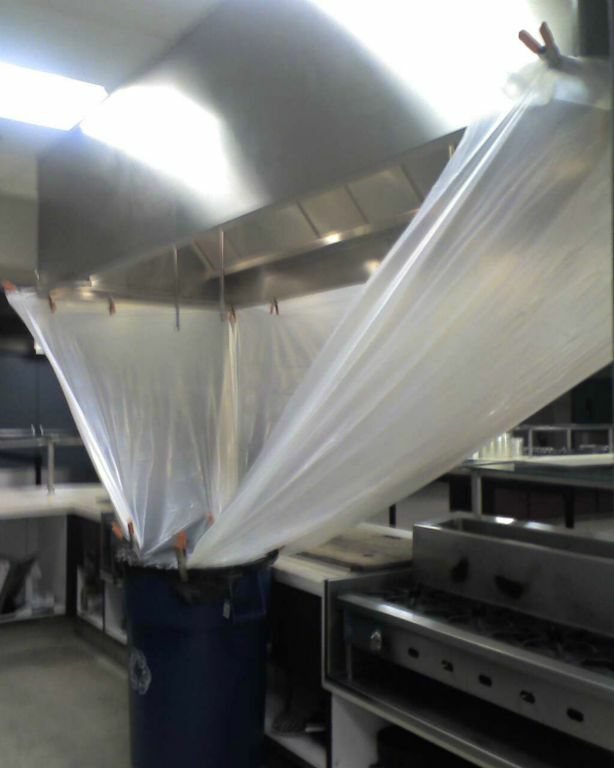 Your cooking equipment is covered by boards, for our safety and for the protection of the equipment, and then a waste water containment funnel of plastic sheeting is set up around the edge of the exhaust hood. The funneling process allows the waste water generated to funnel itself into our lined containers and be pumped out for proper EPA and Water Quality Control disposal. 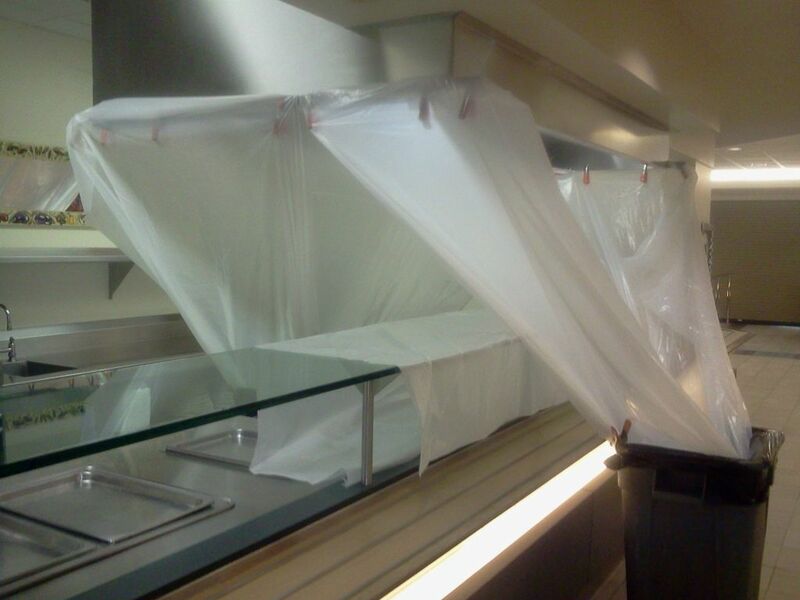 The funneling process keeps the kitchen protected from contamination and keeps nearly all of the dirty water off the floors. 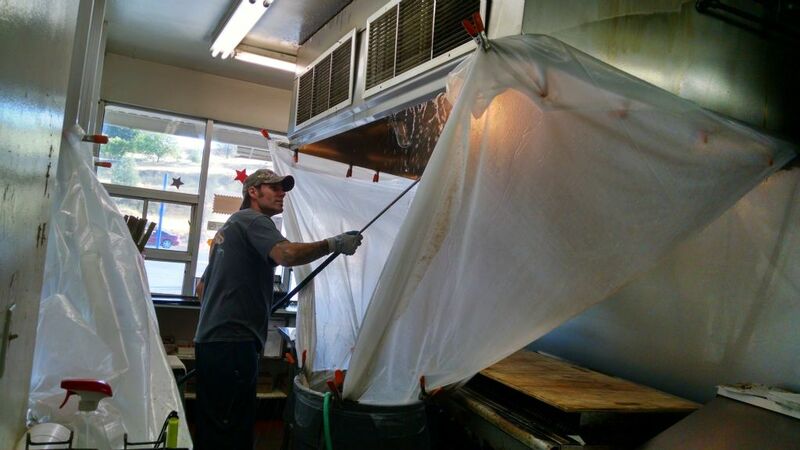 Our process is so clean in most cases food prep can be done in another part of the kitchen while we are cleaning the hood system. After the system is hot pressure washed the containment is taken down and the hood is buffed down with terry cloth towels to get rid of water spots and shine the hood. This whole procedure is completed in approximately 3 hours on a system that is maintained at a proper cleaning interval. This allows us to do the work in the mornings prior to the restaurant opening.